The Spirit Run starts Thursday, October 20th at 6PM. 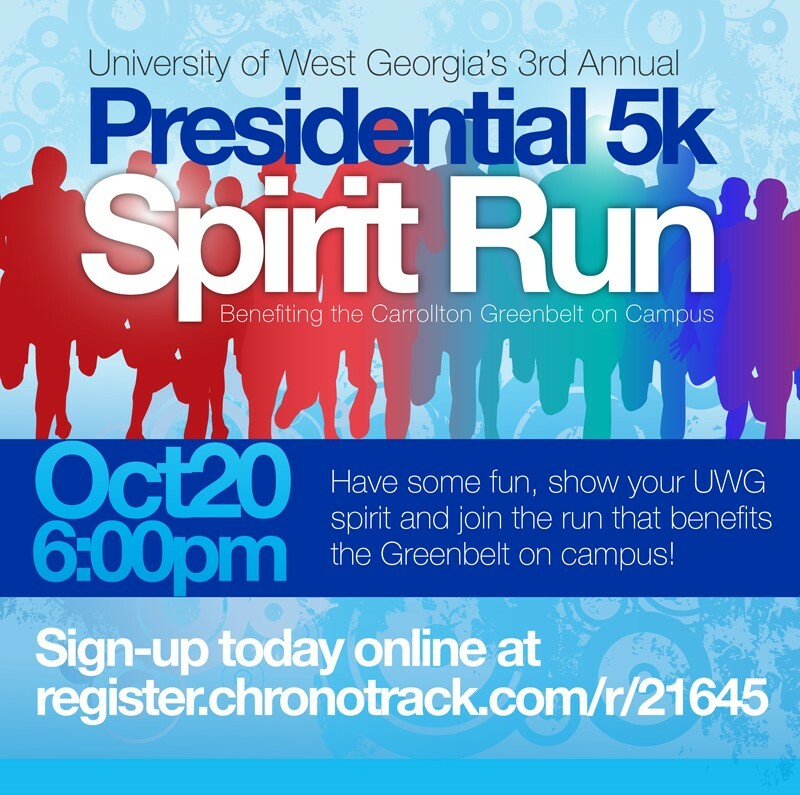 Have some fun, show your UWG spirit and join the run that benefits the Greenbelt on Campus! The race will be held on the UWG campus, beginning and ending at The Coliseum. Winners will be awarded immediately following the race. In addition to race winners, there will be prizes for the most spirited costumes! Stick around for our Homecoming Glow Parade! Super Hero 1 Mile Fun Run – Run with your little super hero! 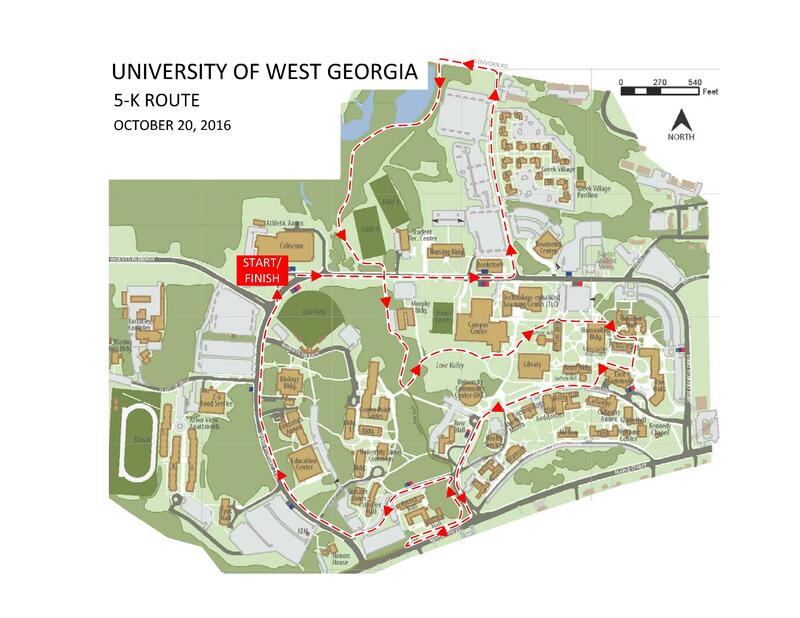 Packet pickup is available on Wednesday, October 19th from 8:00 AM – 5:00 PM at the UWG Alumni House and on race day from 5:00 PM – 6:00 PM at The Coliseum starting line.